You checked the Date and Time settings and also updated the Internet time. You checked that you are not using any proxy server by going in Internet Options. You have switched your account from local account to a Microsoft account. You have refreshed you PC(your big mistake) by going in PC settings. You have cleared the store cache by running few commands. And after trying above methods and few more, you are still not able to access the store or any other App.Now I am going to tell you a method that worked straightway for me. 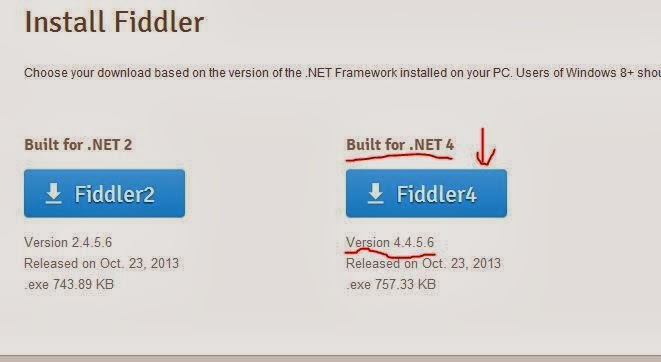 First you need to install a small software called Fiddler.Fiddler is a small tool for Inspecting and Debugging Web traffic.Go to the following link and download the version 4.4.5.6(or higher if available). It is of very small size(under 1MB) and after downloading install it.Run it by going into program list. Once the Fiddler window appear,go to Tools and then select Win8 Loopback Exemptions.If you get prompt for warning ,click Yes. Select Exempt All so that each checkbox in front of app is checked and select Save Changes.Now minimize the Feddler(Do not close it) and try to open the app store or any other app. Now App Store and all other window 8 Apps can easily connect to the Internet.You may need to run the Feddler,so just minimize it and do not close it. You may need to run the Fiddler all the time when you need App store to connect to the Internet.Still,this is far better than Refreshing the PC or Installing a new copy of windows 8. Whether this method works for you or not,please let me know by posting your comment. Modern apps stopped working sometime, perhaps after win 8.1 update. No help from MS or the net. This has got me going again and on the path to fixing the problem. Tried your solution to the letter and although I am on the internet, hence this post, the store or apps are still not functioning, any more ideas? Thanks so much for this after months and months I finally get the bloody store to connect. Downloading 8.1 now hopefully it will be fixed natively after the update. Fingers crossed. Thank you so much!!! It finally worked!!!! Thanks a lot Amar….Its working…! I'm so surprised this worked! I'd tried everything else. Thanks for your help. Highly recommend this method. Have you followed the steps correctly? Because this worked almost for everyone. Fiddler isnt working.. Any other suggestion please. check the Date and Time settings and also updated the Internet time. Check that you are not using any proxy server by going in Internet Options. Try to switch your account from local account to a Microsoft account. Why is win8 loopback exemptions not an option on the Tools menu on my Fiddler4 I just downloaded? Hello there Amar pawar…thanx very much for your help…Finally it worked like a charm….! Then enter: start "" "ms-windows-store:"
I am surprised this does not worked for you.This solution worked for almost everyone.Try once more ,carefully following the steps. make sure all are checked and one important thing you need fiddler running in background, so don't close it. Just minimize it. Yeah I did that,I checked all,…but isn't it strange that only my store wasn't highlighted? In my case ,Store is also highlighted.All other are in light green,only store is in white. This seems to have worked for me. Thank you! Thank you so much! I thought I would have never figured it out. The Fiddler one was the one that worked for me! thank you !! worked for me…I tried everything else and nothing worked…why MS don't have a fix for this? Your welcome……this is one of the major bug in Windows 8. I hope they resolved it in windows 8.1. You need to make changes in fiddler as I described in post and also fiddler must be running while you are accessing store. BTW: for those getting error 0x6d9 on Fiddler? Activate "Windows Firewall". Also, don't forget to have the "WIndows Update" and "Windows Store" services running. What error you are getting while implementing the steps? I am glad it worked for you. Also Thanks for suggesting the solution for error 0x6d9. So far I found only this working method. You need to run fiddler as it allows http traffic to apps (don't know what blocks the app from accessing internet ). As soon as I found alternative i will update the post. My app is ready to deploy to 50 client machines…Do I need to install fiddler at every machine? Currently we are facing this issue…Our client is unable to run the app on every machine without installing fiddler. Try to update windows 8 to windows 8.1 .Microsoft might fixed the bug in windows 8.1 but I am not sure. I figured out another reason why the store and other apps don't recognize the internet connection, at least for me. None of the available info on how to fix this issue worked for me, so if your still stuck try this. I right clicked start, clicked run, msconfig, services tab, make sure windows event log and windows event collector are checked and apply.I unchecked these a few hours ago trying to get a game to run on win 8 (pretty much every game I have has problems running on win 8) and didn't realize what it did at the time; It's been a few hours of frustration trying to get my apps to work. Hope this helps someone. Hiii, fiddler works for almost everyone. You can see the comments above. Try to implement the above steps and tell me where you are getting problem. Always happy to help you. I did exactly what this post says. after this method the windows store still says it can't connect. so if there's another way to fix my problem… I personly think there's something wrong with my pc settings… couldn't find it myself. other sugestions?? Are you able to open websites in Internet explorer ? I am, I can use spotify to. I can play online games like minecraft and games from steam, but I can't use windows apps. my ethernet connection says it's limited. I can use all sites, all programs except windows apps. so defently the program here should work. but it doesn't…. it works… but… should I run fiddler every time??? "You may need to run the Fiddler all the time when you need App store to connect to the Internet." okay, I still don't fixed my problem, what can I do now?? 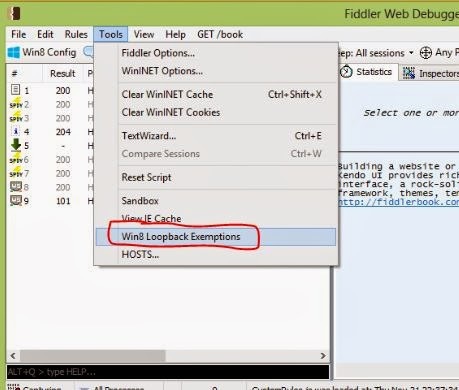 Because fiddler is the one who is filtering HTTP traffic and it allows all traffic to windows store and apps. So it needs to be run in background. Your welcome… I am glad it worked for you. Hello Hari, this worked for everyone. Even I tried it on my own Laptop. You might missing out something.Try again and tell me where you facing problem. 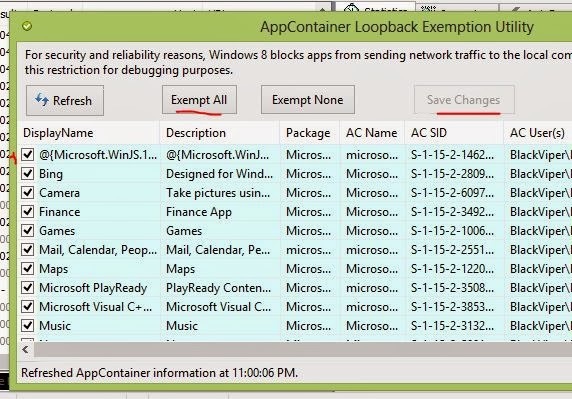 Do you know how the loopback filter could be set in the first place to filter out traffic to the Windows Store? Is there a registry key or Windows firewall setting that can be set to permanently fix this? Can you exactly tell me where you facing problem? Hi Amar…. I am using windows 8.1 and I too was facing problem in connecting my apps to internet while using a proxy server which requires authentication. Fiddler is helping me for 90% apps in my list. But still a few are unable to get through. (eg: Times of India app) It is displaying "Unable to fetch data". What could be the reason. That may be due to some error in the app. May be app is allowed to make connections through the proxy server. gr8 man its workng perfectly.hav been breaking my head fr a week.gud solution………………………hav a gr8 life man………………. not working still… pls suggest me some other solutions !! Yes it worked – thank you for your insight! The application of engineering and design development, and maintenance of software you would think Microsoft would be doing better. Thanks for the correct fix. thank you very much, finally i got a solution. Thanks Patent! It turns out that my Windows Event Log was unchecked, so I added it and rebooted. Now everything works like a charm, and I did NOT have to add another 3rd party app to run all of the time in the background. I had tried other solutions all over the net, including registry changes, powershell command line instructions, etc. Nothing else worked. But tis did. I didn't run fiddler because I am afraid to run random programs downloaded from the internet, but I am glad it is working for so many. It would be nice Amar could explain the principle behind what his program is doing. It is still not working……………….because of you and Fiddler4 my 1mb is wasted! Thank you , Worked like magic man. It is still not working for me – I have tried all of the previous steps (except for the refresh) and then installed Fiddler following the directions given above and I am still getting the same error message of "Your PC isn't connected to the internet…" Any other suggestions would be greatly appreciated! i m still facing the problems to connect to store after following the steps u suggested. please help me. IT WORKED! I spent hours trying different solutions and none worked until now. Thank you so much! Thank you so much. Thaaaaaaaaank you. Good work.